Before you embark on your hike, be sure to plan ahead. Know the regulations and special concerns for the area you'll visit; prepare for extreme weather, hazards and emergencies; schedule your trip to avoid times of high use; keep groups to a small size, breaking larger parties into groups of four to six; and repackage food to minimize waste. When it's time to go home, please remember to respect the environment and take home whatever you brought with you. 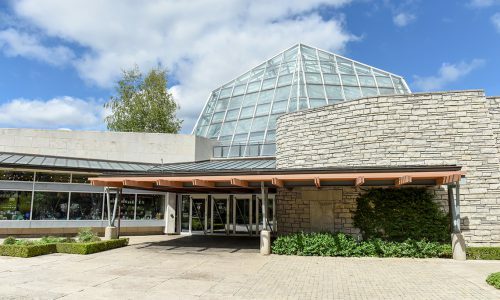 Bouldering permits are available for purchase at the Niagara Glen Nature Centre and the Butterfly Conservatory. Completed waiver forms must be signed and returned to either the Nature Centre or the Butterfly Conservatory for verification. Please bring photo ID with your signed form. 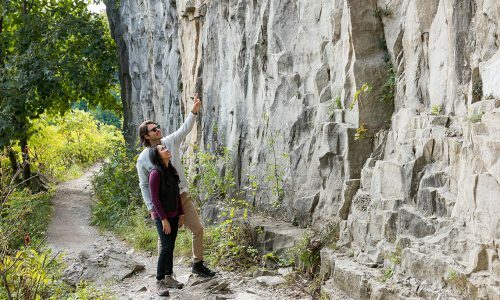 Boulder and hike amongst tens of thousands of years of geological history in the popular Niagara Glen and gorge. 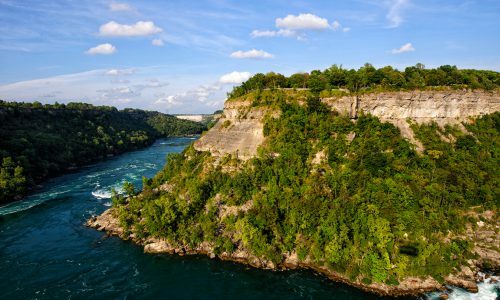 The Niagara Glen is a nature reserve containing wild floral and fauna. When hiking and bouldering in this unique landscape, be sure to stay on marked trails and follow etiquette.